Ask any blues bass player to name their most influential blues bass player, and almost all will mention Willy Dixon for upright bass and Keith Ferguson from the Fabulous Thunderbirds for electric bass. Keith played with all the great guitar players from Texas: Johnny Winter, Stevie Ray Vaughan, Jimmie Vaughan, Rocky Hill, Billy F. Gibbons, Omar Dykes, and Alan Haynes, just to mention a few. In this extensively researched biography, Detlef Schmidt starts with Keith�s early childhood, and on to his playing days. Keith�s role in the late 1970s blues revival can�t be forgotten, with his style of playing and dressing being influential to many blues bands all over the world. Many of Keith Ferguson�s old friends and musical partners share their memories of a great bass player and fascinating person, with quotes and interviews from Johnny Winter, Lou Ann Barton, Fran Christina, Preston Hubbard, Mike Buck, and many more. Hundreds of never before published photographs and personal documents are shown for the first time. Oversized, 320 pages, full-color throughout. 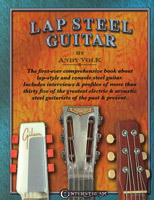 This first-ever comprehensive book about lap-steel and console steel guitars includes: interviews and profiles of more than 35 of the greatest electric and acoustic steel guitarists of the past and present, representing most forms of music played in the world today. Also includes resources for guitars, amplifiers, accessories, instructional materials, steel guitar tunings; and much more. 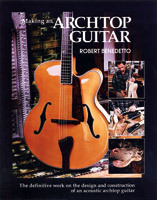 The definitive work on the design and construction of an acoustic archtop guitar by one of the most talented luthiers of the twentieth century. Benedetto shows all aspects of construction, even through marketing your finished work. 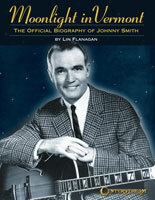 Includes a list of suppliers; a list of serial numbers for Benedetto guitars; full-color plates; photos from the author's personal scrapbook; and fold-out templates. 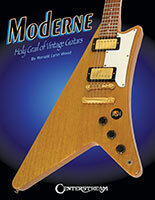 The Gibson Moderne is an electric guitar designed by Gibson in 1957 alongside the Flying V and Explorer as part of a stylistically advanced line. Sources claim that Gibson made a handful of prototypes, but an original has yet to surface. The Moderne was eventually put into production in 1982. Because of their very limited production and forward design, Modernes are highly sought by collectors. Here is the story, explained in interviews and photos, of this curious development associated with the golden era of guitar making. Full color throughout!